The Odinani religion of the Igbo people prizes and worships spirits known as Alusi. Alusi come in many forms and serve many functions but one of the most powerful symbols/artifacts is the carved, horned Alusi known as Ikenga. Ikenga represents achievement, success, human endeavor, and victory -- grounded in the belief that the power for man to achieve comes from his right hand. 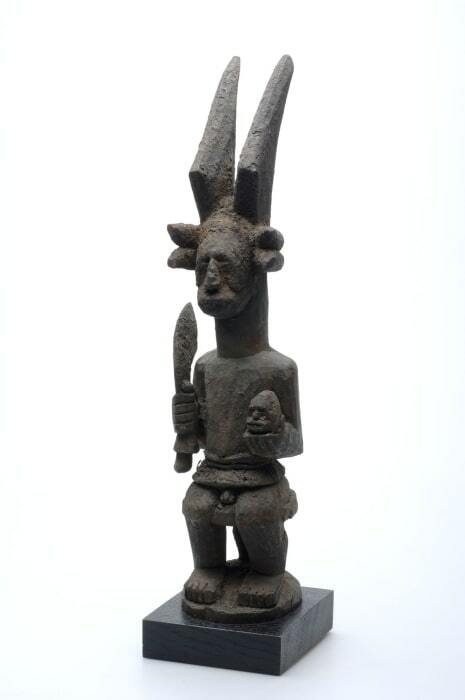 The oldest concept of Ikenga is Two-faced Ikenga. Where one face looks to the old year, the other looks to the new. It is the basis of the most ancient Igbo calendar and is the god of beginnings. While time is our wheelhouse at PublicNTP, we appreciate both sentiments and felt that the name and symbolism appropriately fit our ambition for deploying accurate time servers in Africa -- firstmost considering the Nigerian area: where the Igbo people reside. 1) We wanted to make sure to deploy in the least-served areas of countries/continents to maximize our positive impact. We discovered quite a few more hurdles in the investigation but we knew that location, location, location would be at the fore. While we wanted to first approach Project Ikenga with cloud servers, we needed to make sure that we had a reliable server base -- so there was a bit of a balancing act that needed analyzing. If we planted down in a major city center, we’d be small fish in an already developed network: reliable but with little impact. Nigeria has the largest Gross Domestic Product (GDP) of all African countries, plus the internet routes from Nigeria often have pass through South Africa or London. Mighty long distances for data to go. Nigeria seemed like a good central African location to start from...until we realized that the US State Department travel advisories (marking it as a level 3/4, “reconsider travel” as of November 18, 2018) made it less attractive to fly in, vet the data center personally, and deploy ourselves. South Africa has an infrastructure that outpaces much of the underserved areas PublicNTP is looking to help and would, presumably, provide plenty of stratum 1’s for our stratum 2 to coordinate with. At the same time, being at the southern tip of Africa, our services are competing with the rest of the internet in South Africa and from its location we lose its effectiveness the further north in the continent the clients are. This location came up in our search recently. Because, well, we were constantly searching for ways to support Africa from Africa. We had placed ourselves in a box and hadn’t realized it. Image from https://www.submarinecablemap.com, Copyright © PriMetrica, Inc. Enter the triple play. Why not deploy in all three? Lisbon first, to provide reliable time for Western Africa; Lagos next, where we can improve connection (likely by shipping a server to the datacenter and letting the local staff install it for us); and Johannesburg for coverage of southern and eastern Africa. It’s a plan that will take more time than our original one-stop deployment plan but PublicNTP is looking forward to the challenge, and to providing time to a continent with intense need for improvements to basic internet infrastructure.